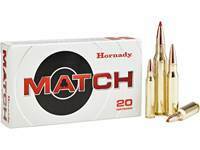 Federal Gold Medal Match is the ammunition you reach for when each shot counts the most. 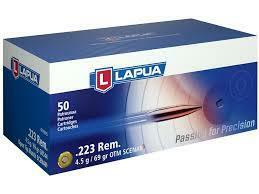 This ammunition has been used by more world class shooters as well as military and LE officials than any other load. 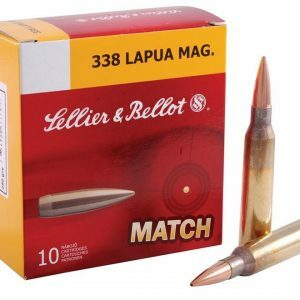 Federals stringent manufacturing controls and tight tolerances ensure that you receive a consistent round designed to let your rifle speak for itself. 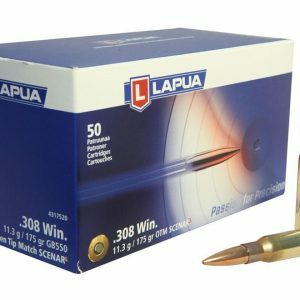 Designed with the Sierra MatchKing Boat tail hollow point, this completed cartridge is as good as it gets. 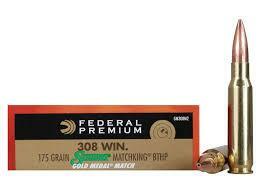 If you are shooting a competition or proving your rifle then look no further than Federal Gold Medal Match.